As if it wasnt enough to be successful and attractive and good at acting, some folk love to surprise us with their pipes too. Just when youve got comfortable, they whip the rug out from under you and burst into song. And not just at the pub when theyve had a few - on proper stages to a paying audience. Honestly, some people have all the talent. 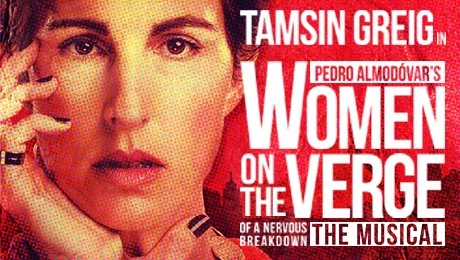 Last seen on a West End stage as a put-upon mother in Jumpy, Tamsin Greig made her move into musical theatre with a leading role in the West End debut of Women on the Verge of a Nervous Breakdown - a stage adaptation of the Pedro Almodovar film of the same name. Critics and audiences alike have fallen for her performance, but she did do that fabulous rendition of The Kinks You Really Got Me in Green Wing, so maybe we should have seen this coming. Careening into the public eye with a high ponytail and catchphrase in the vernacular ('Am a bovvered? '), Catherine Tate surprised many when she stepped away from sketch comedy and revealed herself as a competent Shakespearean actress, winning acclaim for her Beatrice in Much Ado About Nothing. And now she's at it again, having taken the role of Sara Jane Moore in Jamie Lloyd's production of Assassins at the Menier Chocolate Factory. 'Inside my heart, there's a 12-year-old girl who has always wanted to be Ginger Rogers', said Downtown Abbey's Samantha Bond. 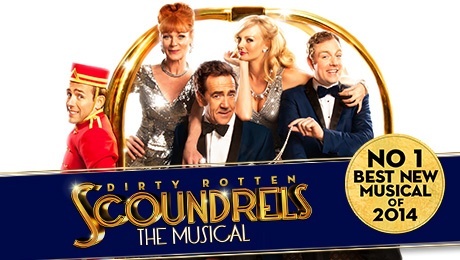 This year she made good on that dream by playing Muriel Eubanks in the original London cast of Dirty Rotten Scoundrels at the Savoy Theatre. She did everything John Marquez did, but backwards and in heels. The Almeida's Kickstarter musical was already close to selling out before they dropped their casting bombshell: fresh from his Tardis travels, Matt Smith would swap the bowtie and braces for Brooks Brothers blazers to play Patrick Bateman. His performance won praise from critics who noted that, while not the most technically adept of vocalists, his 'off-kilter sound' was perfect for the part of one so warped. Although she trained as a vocalist in her youth and was 'a musical theatre kid', her professional career was song-free until 2009 when she knocked it out the park playing Sarah Brown in Guys & Dolls. The production at the Hollywood Bowl with the Los Angeles Philharmonic received standing ovations, and she subsequently worked alongside Salma Hayek in the Lincoln Center Theater's two-week long workshop of the aforementioned Women on the Verge of a Nervous Breakdown. It's racking up an impressive casting history, that one. Musical theatre probably isn't what springs to mind when you think of wonderful Dame Jude, but her performance of Send in the Clowns will break your heart. And did you know she played Sally Bowles in the original London production of Cabaret? The floppy-haired wonderkid looks great in a pair of scrubs, pulled off a triple threat cult classic with the self-penned self-directed self-starring Garden State, then threw his pipes into the mix with a leading role in the musical adaptation of Woody Allen's Bullets Over Broadway. Geez Zach, leave some jobs for the other folks, huh? Look, he's not just Harry Potter, alright? He is a TALENTED ACTOR with VERSATILITY and VOCAL RANGE. Critics were divided following his run on Broadway in How to Succeed in Business Without Really Trying, with many claiming that despite taking a decent stab at the singing, he didn't have the showmanship required to lead a musical. But ultimately the reviews were positive; a job well done for The Boy Who Danced.